To ensure your business stays up & running no matter what the circumstances are. For every Business Owner, CFO, Manager or IT Manager out there who runs a small-medium size business – have you ever wondered what the true cost of a disaster would be to your business? If your office burned down tomorrow – would you have anything in place to allow yourself to keep running – without any downtime? 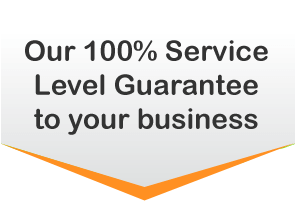 They leave a single person responsible for all back-ups, data-recovery and business continuity. They choose to use manual back-up solutions – such as tape drives & external drives. They assume critical business applications are backed up by their backup system – but in actual fact, they are not. They do not realise a typical backup system can take 2-5 days to complete a full system restore. They only schedule incremental back-ups daily. They never conduct test restorations – they assume a successful backup means data will be restorable in a disaster… a mistake that can severely cost your business. They forget to update the licenses on the back-up software. They can’t see the benefits of cloud-solutions and falsely believe that local backup is more secure. Any one of the above mistakes can lead to uncontrollable downtime, permanent data loss and loss of thousands of dollars worth of business when disaster strikes. This could mean hours or even days where your business simply cannot function. Promises to customers are broken and productivity & sales take a turn for the worse. For every hour you are offline during a disaster – your business will lose money. Comprehensive Business Continuity Planning is included in our Managed IT Services, so you can rest assured that your business will be SAFE and able to KEEP RUNNING in the face of any disaster. This service entails all our critical emergency services but at the core of our Business Continuity solution is our Enterprise Backup service which provides automated, constant back-up of your data – saving you thousands every year while your data is backed up in our secure Australian data centre. 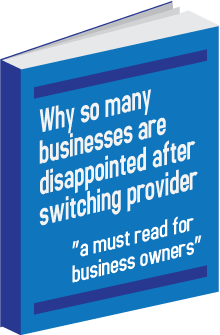 While we do believe that a Back-up, Disaster Recovery and Business Continuity Plan is a ’must have“ for every business running on the back of any IT Network Infrastructure, the fact is – some businesses are not suited to working with Managed IT Service solutions. In order to maximise the benefits of our services to you, we first need to find out if your business is suitable. The fastest way to achieve this is to request an onsite Startup Systems Audit by calling our team on 03 9069 2188 and discussing your Back-up, Disaster Recovery and Business Continuity needs.